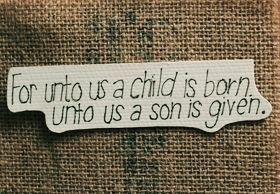 It's great to celebrate the birth of our Lord, but greater still is the realization that he is born everyday within the temple of our heart and lives therein with us eternally. May this day mark another period of joy, peace, and love in your life. May your life be filled with more victories and blessing through Jesus Christ the Celebrant. May He renew our lives and reunite us with Him. Merry Christmas! 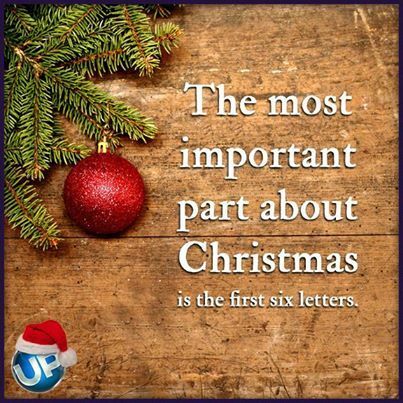 The most important part about Christmas is the first six letters. You may be lonely, poor, and cold, neglected by the children, forgotten by your friends, yet may have the glad Christmas joy in your heart as Paul had, shut up in prison cells at Rome! The Christmas message is that there is hope for a ruined humanity--hope of pardon, hope of peace with God, hope of glory--because at the Father's will Jesus became poor, and was born in a stable so that thirty years later He might hang on a cross. I want no Christmas without a burden for lost souls, a message for sinners, a heart to bring in the lost sheep so dear to the Shepherd, the sinning souls for whom Christ died.